If you are buying a property in Spain then I would recommend you have a professional handle the purchase for you. We had planned to buy a property a few months earlier and instructed a local Abogado (Spanish Lawyer) to act on our behalf. However, the property ended up having some legal issues and we found the language and culture barrier of actually understanding what needed to be done quite difficult so we decided not to continue with that particular purchase. A few months ago, I attended a seminar in London, organised by the “A Place in the Sun” a Channel 4 UK TV programme and it was full of useful exhibitors and presenters. One of the seminar speakers that day was Alex Radford, a UK qualified solicitor who was also a qualified Spanish lawyer. Alex had trained in both countries and seemed to understand the issues from a UK buyers perspective as well as the local Spanish requirements. His seminar gave some sound advice on what you need to look out for including organising a Spanish Will, ensuring the property is properly registered and carrying out a survey. He also discussed the pros and cons of buying a property in your own name, in a company name or in a trust. He was very aware of the inheritance tax liabilities both in Spain and the UK and was able to advise us accordingly. When we found our next property we had no hesitation in instructing Alex. He has proved invaluable in helping us renegotiate the price after we received the surveyor’s report and has been only too happy to explain the situation every step of the way – in a manner we would understand. All legal documents were submitted to us in Spanish with an English translation together with comments over any key points we needed to be aware of. We gave Alex full power of attorney to make life easier for us and he organised a local bank account for us and arranged all the paperwork for the exchange of contracts. On 15th January we will be visiting the local notary to complete the purchase. We will also be signing our Spanish wills at the same time as Alex has prepared these for us in advance. 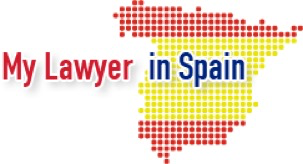 Alex has recently set up a new firm with a number of other partners and his website can be found on http://www.mylawyerinspain.com. I would have no hesitation in recommending Alex to act on your behalf on any legal matters in Spain.